Studies have highlighted the importance of using new technologies during the planning of educational and didactic paths to develop skills and functions in disabled patients (Bruschi, 2001). Assistive technologies represent real opportunities of e-participation to social life (Calvani, 2011; Chiappetta Caiola, 2009), which also works as scaffolding to promote developing processes (Cooke & Husey, 2002). The authors’ contribution examines the importance of technologies in supporting subjects with mental retardation. It shows the usability of many inputs that offer disabled patients the possibility to exercise cognitive styles, their own characteristics and their own autonomies to increase motivation and self esteem. The aims of this research are a) verify the effectiveness of didactic software based on Precision Teaching method; b) verify gender differences. For this study 40 children have been selected (20 boys and 20 girls) with and without mental retardation. The research consisted of 3 phases: pre-training phase, training phase and post-training phase. Results show learning improvements in each group; in spite of students’ difficulties, the use of Precision Teaching has reduced significantly the initial cognitive gap, which refers to the number of correct responses (accuracy) and to time of response (fluency) relative to the learning of how to use money. The technological revolution is tied to the increasing use of computer and to the netsurfing (Maragliano, 2007). Basic tools and computer applications are increasingly being used in society and the economy, and the individual digital competence become essential life skills. It involves the majority of population and it modifies people’s habits at work, at home, at school (Rivoltella, 2005; Rivoltella & Ardizzone, 2009). The ways of working, studying, communicating, accessing information are changing with rapidity. 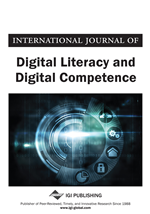 Through digital and social technologies people can access resources, interact, and share with others globally (Murdaca, Cuzzocrea, Conti, & Larcan 2011) and these can support work and learning. Nevertheless, there is still digital participation gap that is not just in terms of access to computers and the internet but also by the effective use educational software. Digital literacy provides new support systems for patients with special needs, parents with children with mental disabilities, or people in rehabilitation. Increasing the use of computer resources in therapy and learning activities is very important to guarantee a better life quality. It is amply demonstrated that children found very attractive and they proved cognitive acquisitions when using educational software. Even the educational institutions use technology extensively in the education field but also for research and distance learning, in order to enhance students’ skill and improve their academic performances (Gülbahar, 2007; Kim & Hannafin, 2011). In this regard several researches studied students’ behaviour (Schumacher & Moraham–Martin, 2001) and gender differences (North & Noyes, 2002) in relation to new technologies. It seems, in particular, that boys prefer study using their personal computer more than girls do; they consider this learning modality more satisfactory and more useful than traditional ones (Badagliaccio, 1990; Shashaami & Khalili, 2011). Further studies with disabled subjects have underlined the valences the computer assisted learning as it offers a multidimension learning, attractive, concentric and dynamic, underlining the contribution of technologies in rehabilitation of disabled children (Gelati, 2004; Cairo, 2007) and focusing the attention on software’s effectiveness. In fact, increase motivation, attention and self-regulation in children with mental disabilities by computer support is one of the best ways to ensure a higher study interest, attention and motivation to learning (Moreno & Mora, 2001). In this direction, the main interest of special didactics and educational psychology is focused on the analysis of the impact that these software have on disability and new skills learning (Mechling & Gast, 2003; Cottini, 2007). For these reasons, this research underlines the effectiveness to introduce educational software in special education areas as an important aspect of rehabilitation training. Their great benefit is that they are accessible to the nonprogrammer teachers. On the other hand, educational software can help teachers to better guarantee digital literacy development by computer assisted learning.